This is an exciting time for Park Royal. With a strategic plan to provide an exceptional and unique shopping experience for consumers and an optimal place of business for retailers – Park Royal continues its evolution as one of Metro Vancouver’s most prominent and innovative retail destinations. 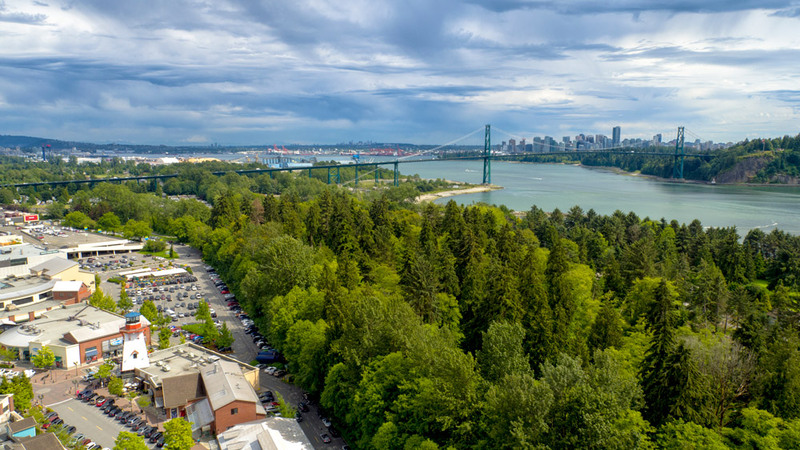 Located in beautiful West Vancouver, Park Royal strives to be a community within a community – where people can shop, eat and play. A recent article, written in January 2017 by Retailer Insider, provides a general synopsis of the overall redevelopment of Park Royal including updated photographs. Have a look by clicking here. 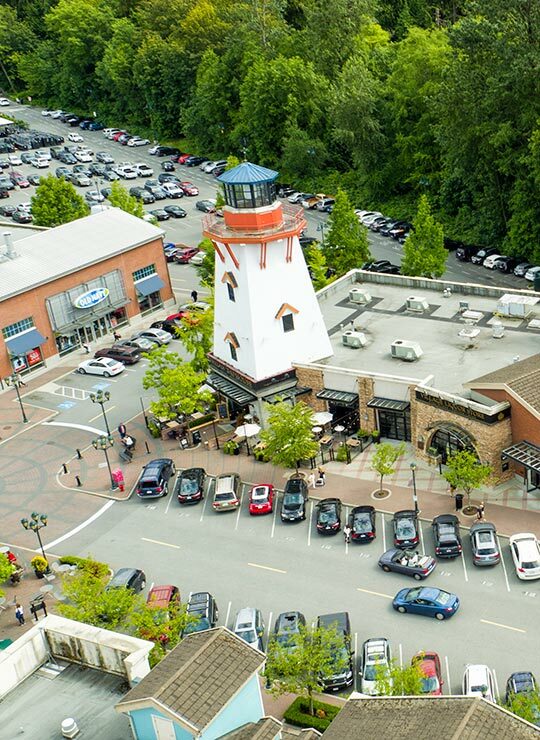 Park Royal and its tenants have made significant investments in an expansion and revitalization project that elevates the retail property to a world-class shopping, dining and lifestyle experience that is unmatched in the Metro Vancouver marketplace. Building on the success of the Park Royal South exterior, the evolution continues with a new fashion wing anchored by Simons, a new food court dining experience, and a complete upgrade of both internal and external common areas to reflect the contemporary and fashion-forward design. Park Royal South has seen the addition of a two-level Simons, Canada’s iconic fashion department store, open on October 15, 2015. Connectivity to The Village at Park Royal has been enriched by the reconfiguration of a 30,000 square foot fashion wing as well as new animated public plaza. The dining experience has been elevated with the introduction of a new food court, PICNIC, on the second level. A complete renovation of the interior includes enhanced ceiling and lighting upgrades, premium new floor tile and fresh, modern common area furnishings. These are all in addition to the recent opening of Park Royal’s new outdoor high street retail district, state-of-the-art parkade, and enhanced public realm with public art, water features, green space, pedestrian walkways and almost five kilometres of integrated bikes lanes through and around the property. Located on the second level of Park Royal South, our brand new food court PICNIC, is now open! Dining experiences have been richly expanded and diversified with the debut of fresh restaurants, seating areas and a whole new environment of tasteful décor. For a full list of dining options click HERE. Simons offers an extensive and very fashion forward collection of its own exclusive and innovative private label brands for men and women, complimented by a selection of national brands and an edited collection of international designers, making it well known for its exceptional selection of merchandise for everyone. The Park Royal store has been designed by architecture firm: Lemay Michaud and the interior is designed by design firm: Designstead. The store features a compelling and original environment that inspires customers through fashion, art and architecture. The North has undergone big changes and is now complete! We want thank our customers for their patience during this construction phase. A new exterior façade now harmonizes the North and South side, while contemporary landscaping, store fronts and glass canopies re-energize the district. An expansion of the parking structure added 200 stalls and two new elevators make access to new and existing parking more convenient. The introduction of Saks OFF 5TH, Loblaw’s City Market, Steve Nash Sports Club, and Chipotle strengthen the retail mix while updates to the existing retail on the North side continue a long history of success. There is no through access in Park Royal North. Use the West Entrance to access The Gap and for stairwell access only to the parkade. Please use the East mall entrance for Hudosn’s Bay and other Park Royal North shops and services. The west side of the top deck of the North parkade will be temporarily closed from January 18, 2016 until further notice The east side of the parking deck will remain open for Park & Ride users. Pedestrian Access- Please use fenced walk way to navigate between centre mall entrance and London Drugs, Bc liquor Store, & West side stores and services. Vehicle Access Ground Level – Please follow directional detour signs to navigate between the west ramp and the centre mall entrance. In keeping with a rich history of innovation and creating environments people want to experience, Park Royal is continuing to improve the total complexion of the property that includes a blend of premium indoor and outdoor shopping. Shoppers can enjoy exciting new retailers such as Simons and Loblaw’s City Market, as well as a brand new fashion wing and food court. Interior improvements include renovation as well as the addition of several new amenities for customer access and convenience. Exterior improvements include a redesign of Park Royal North so that it is consistent with the new contemporary look of the evolving property and will also include new landscaping, store fronts and glass canopies. In years to come, Park Royal will be adding a residential component to the property as well as a brand new gathering place and public realm. Once complete, Park Royal will truly be a community within a community where people can shop, live, play and entertainment. Changes are taking place now and into the future in several phases. The new fashion wing and food court, Simon’s, and Park Royal South interior improvements are now complete. Upgrades to Park Royal North have commenced with completion near the end of 2017. New stores include:, RYU, Steve Nash Fitness, The Keg, MAC and Legendary Hot Pot Restaurant. Recently opened are: Loblaw’s City Market, Oak + Fort and Chipotle.